Pillcam is a revolutionary technology designed to help patients with suspected Crohn’s Disease. It is a small capsule equipped with a miniature video camera that travels painlessly through the entire digestive tract. It is able to capture images quickly that are sent to a recording device during the procedure. 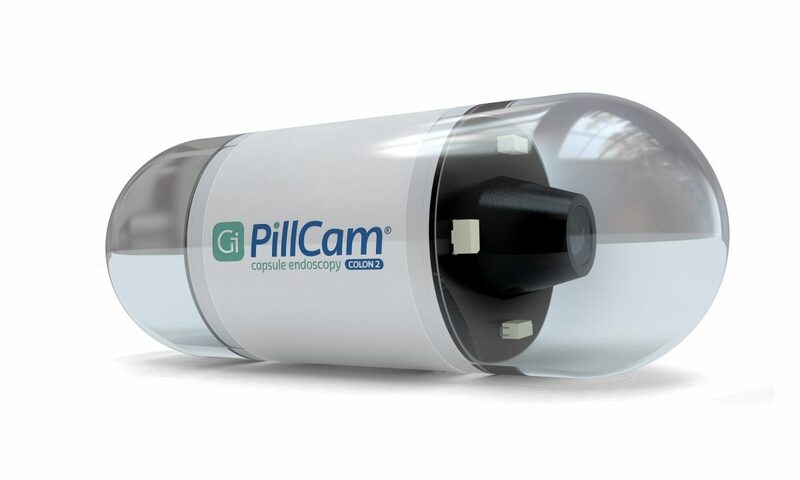 Pillcam is a revolutionary technology designed to help patients with suspected Crohn’s Disease. It is a small capsule equipped with a miniature video camera that travels painlessly through the entire digestive tract. It is able to capture images quickly that are sent to a recording device during the procedure. Pillcam allows patients to move around freely during the procedure will pass naturally through the body. Getting a diagnosis for Crohn’s Disease can often be a long and frustrating process due to the multiple tests required. Patients with suspected Crohn’s Disease have to undergo a Colonoscopy as part of the initial diagnosis. However, if you are one of the 30% of patients with Crohn’s patients with the disease limited to the small bowel then Pillcam may provide an alternative to a follow up Colonoscopy or Endoscopy. 62% of patients had their medication changed within 3 months of using Pillcam.